Success! Akankunda from Uganda raised $187 to fund a mass removal procedure. Akankunda's treatment was fully funded on January 26, 2019. Akankunda underwent a mass removal procedure. She can walk comfortably now, and her quality of life will improve. Akankunda is a child from Uganda. She is in nursery school and has two siblings. Akankunda’s parents practice small-scale farming. Akankunda has had a swelling on her left leg since birth. She experiences discomfort as the mass keeps increasing in size. Akankunda traveled to our medical partner’s care center to receive treatment. On January 8, surgeons will remove the mass. Now, Akankunda needs help to raise $187 to fund this procedure. Akankunda's case was submitted by Joan Kadagaya at African Mission Healthcare Foundation in Uganda. Akankunda was submitted by Joan Kadagaya, Curative Medical Support Program-Partner Representative at African Mission Healthcare Foundation, our medical partner in Uganda. 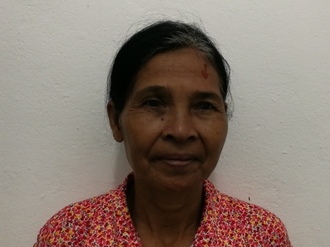 Akankunda's profile was published to start raising funds. Akankunda received treatment at Karoli Lwanga Hospital, Nyakibale. Medical partners often provide care to patients accepted by Watsi before those patients are fully funded, operating under the guarantee that the cost of care will be paid for by donors. Akankunda's treatment was fully funded. Akankunda's treatment was successful. Read the update.